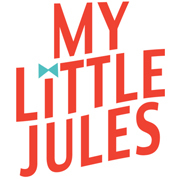 Jules' Got Style - Boutique Girls Clothing Blog: Ooh! La, La! Couture and Disney Star Bella Thorne Co-Host 3rd Annual Tutus4Tots to Benefit K.I.D.S. Ooh! La, La! Couture and Disney Star Bella Thorne Co-Host 3rd Annual Tutus4Tots to Benefit K.I.D.S. Mar 08, 2012 -Sat. Mar. 3rd-Boyle Heights, Los Angeles- Ooh! La, La! Couture and Disney star Bella Thorne invited young Hollywood to distribute over 300 new dresses to underprivileged girls, making this 3rd Annual "Tutus4Tots" event a huge success! Benefiting Kids In Distressed Situations, Ooh! La, La! Couture continues their mission to provide dresses to girls in need. Coordinating with K.I.D.S, the Volunteers of America Los Angeles focused on inviting girls from their Strengthening Families Program, which assists families that are either homeless or at risk for becoming homeless. The room was filled with poufy tutus and huge smiles as surprised families were treated to fun fashions, sparkly shoes, headbands, and cupcakes! Enthusiastic young Hollywood celebs escorted little girls through racks of colorful dresses, signed autographs, and posed for photos. The little girls couldn’t wait to change into their carefully chosen dresses and run around the party together. The kids were excited to hang out with their favorite celebrities, pose on the “pink” carpet, and were even treated to an impromptu dance lesson lead by Dancing With The Stars’ newest cast member Roshon Fegan! Co-owners Ann Dugourd and Jennifer Rotunno founded Ooh! La, La! Couture in 2004. Thankful for their success, OLLC regularly gives back by donating clothing to children in need. Since 2007, Ooh! La, La! Couture has donated over $400,000 worth of new dresses to K.I.D.S. China Doll Shoes generously donated a new pair of shoes for every girl in the room. Additional donations that helped make this event special include: Pastry Shoes, Pink Pewter, Tate’s Bake Shop, Ooh La La Candy, Penelope Wildberry, Top Trenz, Cicciabella, and Bracelets by Miss Caley. That's so nice! These special moments really make a difference! so much smiley faces and sweet dress!